We specialize in kitchens, bathrooms and carpentry. Have you just purchased a new-to-you home in Darien and would like to make some improvements? Are you looking to remodel or renovate an older Darien home? 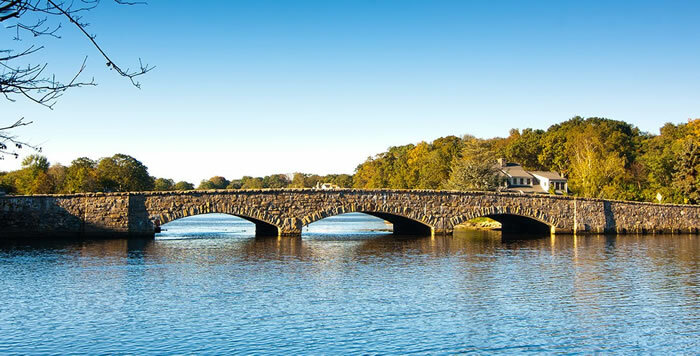 Darien, located just off I-95 between Norwalk and Stamford, has a rich history dating all the way back to 1641! Craftsman Contracting LLC provides home remodeling and renovation services throughout Darien, CT. If you’d like to remodel your master bathroom, transform your old and dated kitchen, build a new deck, or complete some custom carpentry projects such as built-in storage, finishing work, and more our team can help! Craftsman Contracting LLC Home Remodeling Services in Darien CT? 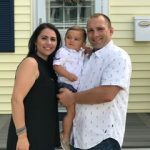 How can we help you improve your Darien home? Whether you are looking for a more open and functional kitchen, a more luxurious spa-like bathroom retreat or a beautiful new wood or composite deck. The team at Craftsman Contracting LLC pride ourselves on the attention to detail and quality of our workmanship that we invest into each and every remodeling project we work on. You can count on us to treat your home as if it were our very own, ensuring the highest level of quality in everything we do. From our organization to our great communication, and the clean job site you’ll know you’re in good hands. You can rely on us to remodel your home into the space you want it to be without all the hassles and horror stories that are common to our industry. Not only that, we’ll do it for a price that will be right in-line with our competition and we’ll exceed your expectations. To schedule your FREE remodeling consultation to discuss your home remodeling project in Darien CT call (203) 642-3343 or fill out our contact form and we’ll get right back to you to schedule a time to come and take a look. Gary is a rare find in the home improvement business. His skills and experience are excellent, and his personality and attention to detail, and taking the required time to get things done the way we want them done, are exceptional. Gary listens. We've been enjoying our new bathroom for over a year, and highly recommend Gary - we've hired him repeatedly over the years and he is always top-notch. Gary was very professional and spoke with me at length on the phone about the repair we needed. We set up a free estimate appointment on a Friday, followed by the actual repair the following Monday. Gary was on time, professional, and thorough during each visit. He respected our property and did a complete clean-up at the end of the job. Our storm door is now more professionally installed than it was originally. Reasonably priced and highly recommended. Craftsman Contracting LLC is a full service home remodeling contractor based out of Norwalk, CT and serving all of Fairfield County. We specialize in home remodeling projects such as kitchen remodeling, bathroom remodeling, shower remodeling, custom carpentry, custom deck construction, handyman services, and more. If you're looking for a company that takes pride in their work, has excellent communication skills, and high offers a high quality customer experience, you've just found us!